Following on from the success of the Cubot Rainbow 2, Echo and Manito Cubot have released the new R9 model. Featuring a 5" HD screen the Cubot R9 displays consistent, accurate colors from all viewing angles with a range of colors is reaching up to 90% of NTSC. The sophisticated image processing and dynamic matching for color on screen elevate the Cubot R9 by viewing clear images and natural colors at all times. 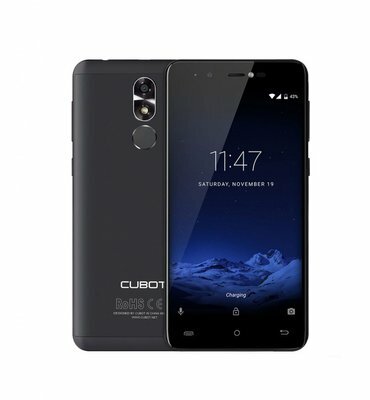 At 7.8mm the Cubot R9 is designed in an ultra thin body with a full metal back. The 2.5D Glass used in the Cubot R9 is prominent in impact resistance capability and anti-scratch performance. Featuring a 13MP main camera with LED flash the Cubot R9 features Rakish Autofocus technology and dynamic denoising technology, providing you with crisp clear photos and videos. The 5MP front camera is great for selfie lovers. The “Sweet-Smile” and gesture functions let you take the most stunning and flattering selfies. New to this range is the Fingerprint sensor. The fingerprint sensor instantly recognizes the user’s unique fingerprint and unlocks Cubot R9 in less than 0.1 seconds providing security and convenience in one easy touch. Operating on Android Nougat, the 2GB RAM , 16GB onboard memory and quad core processor, the Cubot R9 provides a smooth user experience. Most impressively though is the fact that the R9 boasts not only a dual sim capability but a dedicated SD slot as well meaning you do not have to compromise on memory and usability.